A deviated septum occurs when the septum, or wall separating the nostrils, is displaced to one side. This makes one nasal passage smaller than the other and can be present from birth or caused by a certain type of trauma. A displaced nasal passage does not generally create overwhelming breathing problems for younger children; however, being aware of your child’s deviated septum can help you stay aware of this condition in case treatment should be needed in the future. A misplaced nasal wall is not necessarily a cause for alarm, but it can cause difficulty breathing through the nostrils and a higher amount of discomfort when your child has a cold or an allergy flare-up. If this is something that concerns you, you do have options to address the problem. 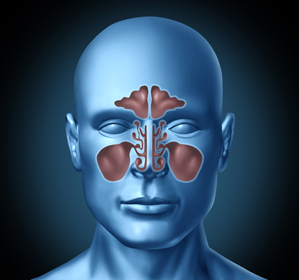 There are a few treatments that can be utilized to manage a deviated septum. You can give your child nasal decongestants, but they should not be given generously because a dependency can occur. Nasal sprays can be used, but if they are used too often and then discontinued, symptoms can sometimes return stronger than before. Antihistamines and nasal steroid sprays are alternative options, as well. Before starting any of these treatments, consult with your Pediatric ENT Associates doctor to choose the best course of action. While surgery may seem daunting, the above treatment options will only manage and control the symptoms. The only way to truly correct a deviated septum is through surgery. A surgical procedure, known as a septoplasty, would correct the placement of the wall, allow air to flow easily through the nose, and usually cause the symptoms to cease. However, it depends on the severity of the displacement. Generally speaking, a septoplasty causes all of the symptoms to dissipate. If your child has chronic allergies or issues within the lining of the nose, those will not be cured with surgery. A septoplasty is not generally recommended for young children and usually only performed in cases where the nasal obstruction is severe. If you are concerned that your child is suffering from a deviated septum, don’t hesitate to contact Pediatric ENT Associates for a diagnosis and treatment plan. To learn more or to make your appointment, call 205-289-7469 today!